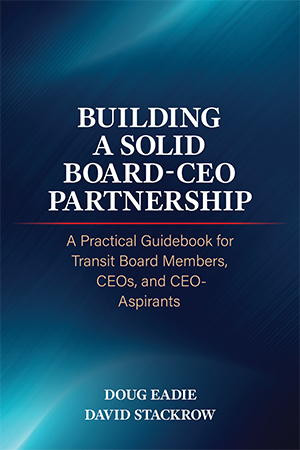 Transforming your public transit board into a really high-performing, high-impact governing body and building and maintaining a solid board-CEO partnership can feel like swimming against a powerful current. At the top of the list of challenges to effective governing, in our experience, is that public transit governance is more of an ill-defined function than a fully-developed field. At this point in time, the rapidly evolving “field” of public transit governance is characterized by the lack of universally accepted principles and best practices, by constant, often heated debate, and by continuous flux. And transit board members, CEOs and executive managers must be on the lookout for what we call “insidious foes” of effective board performance and a solid board-CEO partnership. 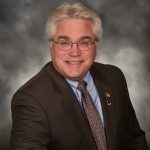 These are erroneous assumptions about particular facets of the governing function that can impair your board’s functioning and damage the board-CEO partnership. What makes them insidious is that they can sound plausible and, worse, might be wholeheartedly recommended by one self-styled governing guru or another. A classic, potentially lethal erroneous assumption many of our readers have no doubt heard more than once is that if your transit authority is performing generally well – meeting operational targets and keeping expenses within budget; maintaining or even growing ridership; being viewed positively by customers, the general public and key stakeholders; etc. – and your CEO is doing a generally good job, then you can bet that the board-CEO working relationship is really solid. No you can’t! 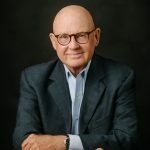 As experience has taught us and no doubt many of our readers, the board-CEO relationship often frays badly and even fatally when all is going well, operationally speaking. More often than not, as we’ve learned over the years, the culprit is the CEO’s inattention to managing the human dimension of his or her relationship with the board, for example, ignoring board members’ very valid need for recognition or failing to regularly interact with individual board members. Another insidious – and highly dangerous – erroneous assumption that we’ve seen cause tremendous harm over the years is that board members and the CEO should maintain a hard and fast line separating the board’s “policy making” role from the managerial and operational work of the CEO and staff. A corollary is that the CEO should zealously maintain this line lest board members cross it and become “micromanagers.” We’ve seen this erroneous assumption prevent CEOs from taking the initiative in mapping out processes for engaging board members in a meaningful fashion in such processes as strategic planning and budget development, hence turning them into audience members rather than owners. We could name many other insidious foes, but just keep in mind that your watchword should be “caveat emptor” – buyer beware. Board members and CEOs should always be on the lookout for erroneous assumptions that can impede board performance and damage the board-CEO partnership. And the persistence of a negative mind set among many board members that we think of as “watch the critters so they don’t steal the store.” Rather than seeing the board as the leading member of a cohesive Strategic Governing Team whose role is to work collaboratively with the CEO and executive managers, these board members see the board’s role in adversarial terms: keeping a close eye on the CEO and other staff so that they don’t get away with anything.